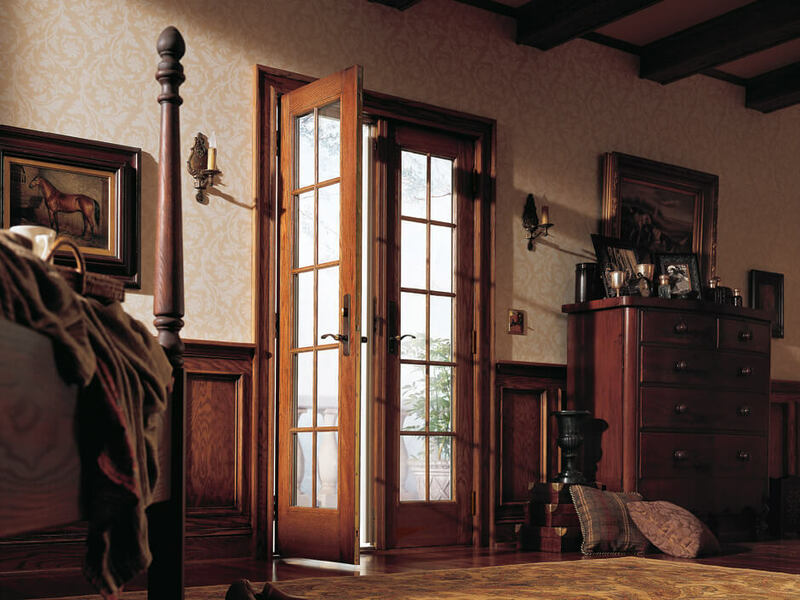 Renewal by Andersen Philadelphia proudly serves Bryn Mawr with lasting, energy efficient windows for your home. We’re the most trusted name in windows and doors in the area because we own the process from start to finish for one-company accountability. We understand your Philadelphia area home’s needs and are committed to custom-manufacturing your solution to style, durability, and energy efficiency. Learn more about our policies and practices when you schedule an initial in-home consultation today. Our replacement windows are made for optimal energy efficiency in any weather—keeping your space cool and comfortable. All styles hold up against years of regular use without bowing, cracking, flaking, or expanding. Choose from a wide selection of color combinations, grille designs, hardware, and specialty shapes. Fibrex® frames hold larger panes of glass with narrow frames to provide a greater scenic view of your Bryn Mawr surroundings. 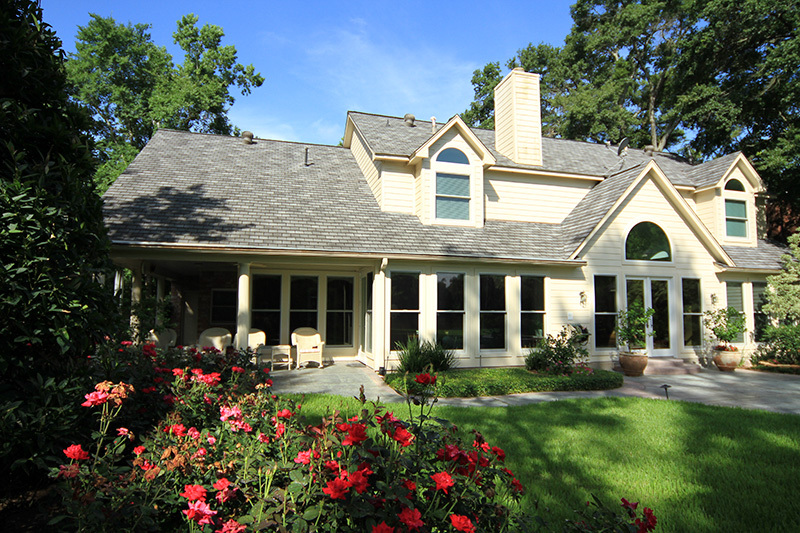 As a full-service window company, we own the entire window replacement process from design to installation. 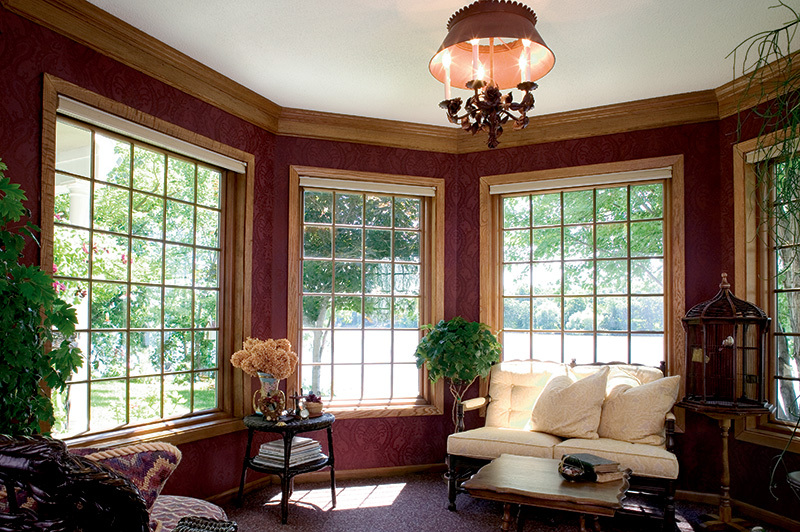 This allows us to create your ideal window solution with quality custom options in every category. 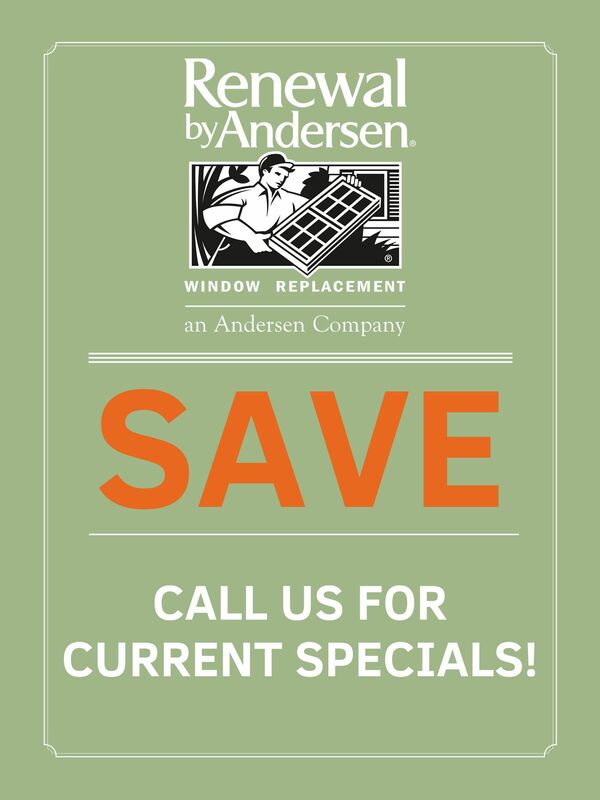 Get started with a complimentary, personalized in-home consultation with a Renewal by Andersen window expert. Your design consultant will come directly to you with a range of swatches, samples, design options and any additional information you need before starting the home improvement process. From there, they’ll help you which features fit your vision, with consideration of your Bryn Mawr climate and the performance features that matter most to you. Regardless of your final design, all Renewal by Andersen windows offer unmatched durability, views, and energy efficiency despite your Philadelphia climate for at least 20 years. See the full range of options when you schedule your design consultation today. We’d love the chance to help you with your next home improvement project! As Philadelphia’s full-service window company, we’ve optimized the process at every stage to ensure total quality assurance from start to finish. Experience the Renewal by Andersen difference for yourself when you schedule an obligation-free in-home consultation. Feature the greatest possible glass area for a better view inside and out. Our windows are made with revolutionary Fibrex® composite material, which hold even very large panes of glass with narrow frames. This results in a custom window that’s sleek and bright in any space—even with a more traditional design. Discover the possibilities for your Bryn Mawr home below. 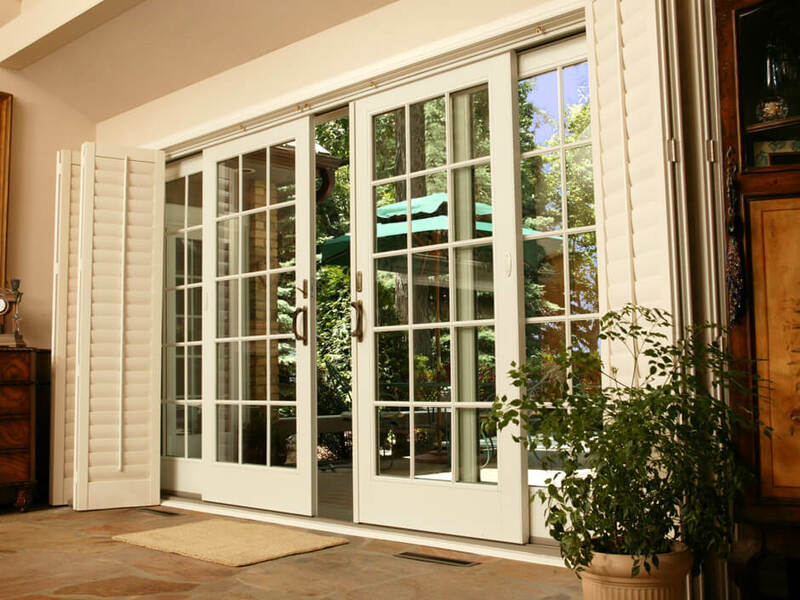 We also Specialize in Custom Patio Door Installation! 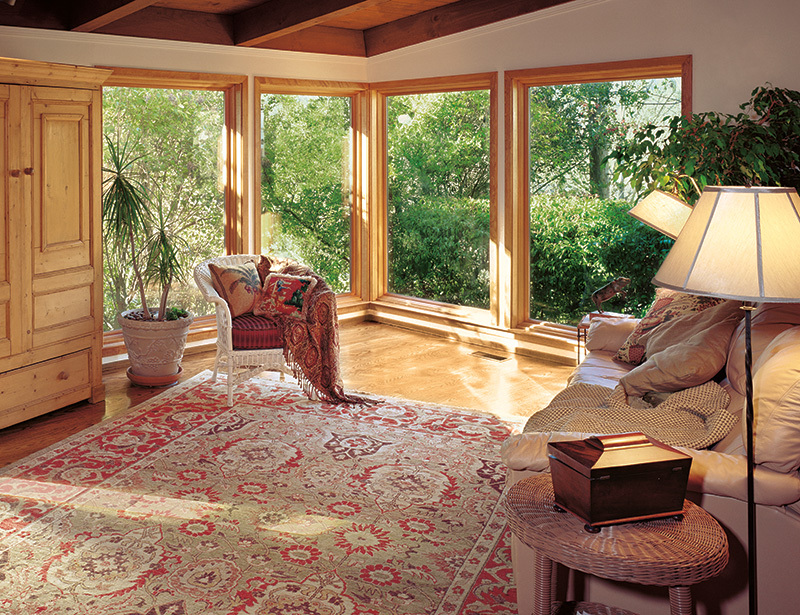 In addition to windows, your Philadelphia Renewal by Andersen can add value to your home from the inside out. Choose from three lasting, energy efficient styles to match or redefine the look and feel of your home. Then, you can further customize your new door with a range of interior and exterior colors, grilles, and hardware finishes. Consider a contemporary sliding door for a modern look and to make the most of your Bryn Mawr view, or go classic with a French door. Additionally, French styles are available in classic hinged configurations, or you can combine traditional looks and modern functionality with our exclusive French sliding door. Plus, all styles can be custom-designed in the same range of colors and styles. Made to last, all Renewal by Andersen patio doors are optimally energy efficient. We use energy efficient glasses to protect your interior from harmful sun rays, as well as durable frames to keep the elements out. Plus, all doors feature a 5-point latch lock system for added security. 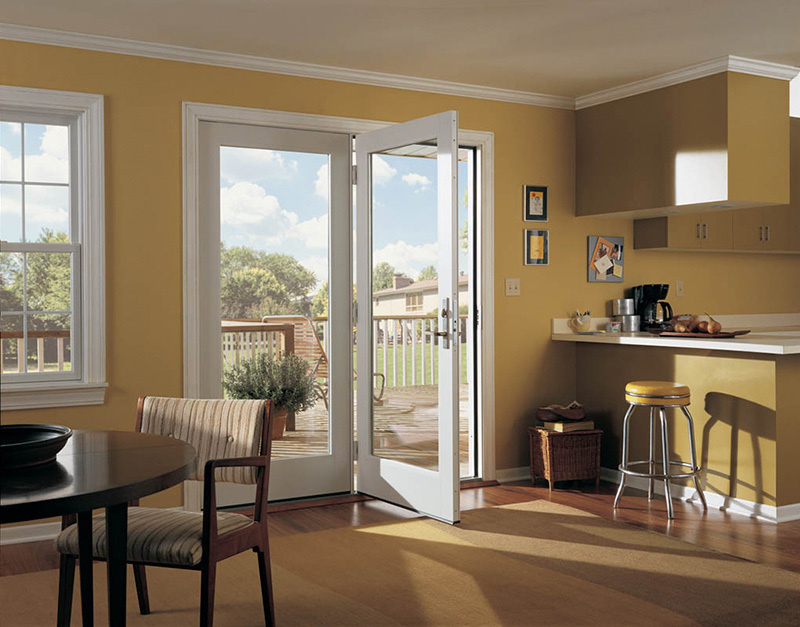 Learn more about the style options and benefits of each patio door type below. 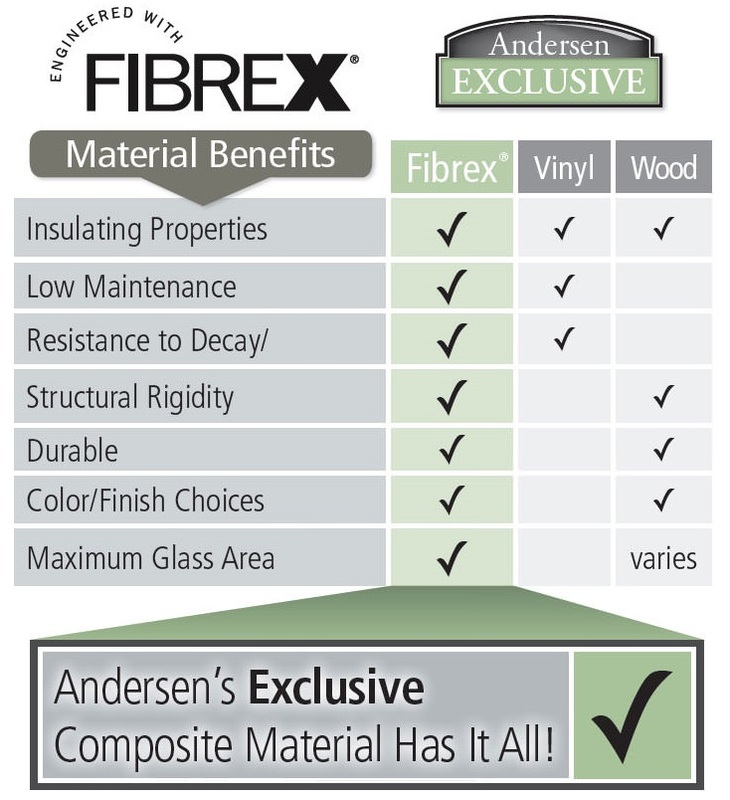 Made from 40% recycled wood fiber by weight, Fibrex® provides the strength of wooden windows with the versatility of vinyl. 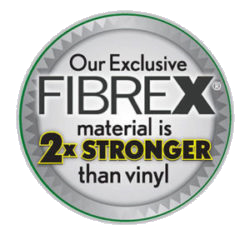 Fibrex® frames are completely saturated with color during manufacturing, so you never have to worry about paint cracking or flaking off. All Renewal by Andersen windows are also guaranteed to function just as well as the day they were installed, so frames will never expand or bow. Call Renewal by Andersen Bryn Mawr to schedule your in-home consultation today. Our professionals are committed to simplifying every step of the process, so you can enjoy your new home improvement sooner than you think. Contact us to learn more about our hassle-free, 4-step process.